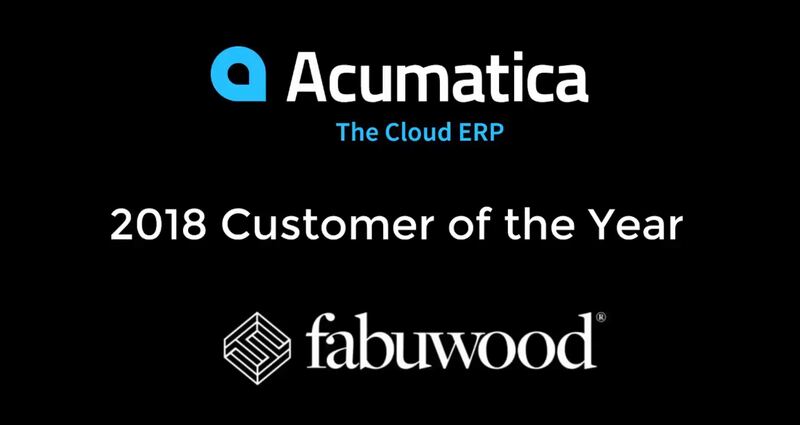 Fabuwood was honored with the 2018 Acumatica Customer of the Year award at the 2019 summit that took place in Houston last month. We are more than overjoyed to be the one chosen for this recognition among Acumatica’s global customer base of over 4000 companies! 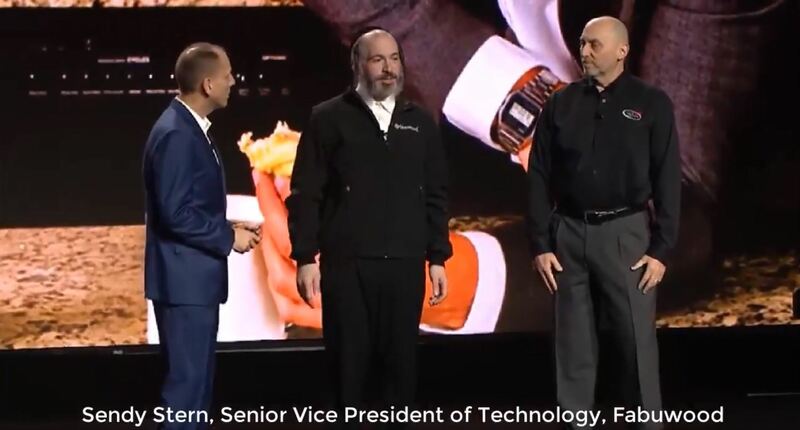 Sendy Stern, our Senior Vice President of Technology, was in Houston to accept the award amidst a record-breaking gathering of over 1,500 attendees. He attributed this success to his team members back home in New Jersey who worked very hard to elevate Fabuwood’s position as the most technologically advanced manufacturer in the kitchen and bath industry. Our passion for technology and innovation has enabled us to offer beautiful kitchens at an affordable price, while staying up-to-date with trends and styles. Our success in the market has also helped us create hundreds of job opportunities, both locally and nationwide! It goes without saying that 2018 was a milestone year for Fabuwood. We moved into our new headquarters, a one-million square foot state-of-the-art production hub and office space in Newark. Equipped with this ingenious building, a rapidly-growing workforce and an awe-inspiring scale of production, we are fully geared towards extraordinary advancement. We kickstarted 2018 with a complete company rebrand – one that truly reflects the evolution of Fabuwood as well as its vision for the future. Shortly thereafter, we went on to win the Best of Show Best Booth award at KBIS 2018 in Orlando. Then as we successfully finished moving into our new offices, we were recognized as the Customer of the Year by Acumatica, the fast-growing Cloud ERP company in the world. What a rewarding year it has been! Our commitment to reaching higher into the realm of technology and innovation was reportedly the key deciding factor for Acumatica. The consistency and speed at which we operate also contributed significantly to this achievement. At Fabuwood, we always work in overdrive mode at 100 mph! In fact, we moved our operations from four different buildings to one all-encompassing superstructure with no downtime at all. When we started the implementation of Acumatica, we were told that the simplest setup would take about six months to go live. However, we were live within five months with nine complicated integrations to all our other systems and the website! When searching for an ideal ERP system, ease of integration was crucial to us. It goes without saying that the great Acumatica ERP system offered that and everything else we were looking for. Acumatica made it possible for us to successfully launch and run Fabuwood’s dedicated, online EZ Pricing system. We now receive over 90% of our orders from dealers across the country through this user-friendly platform! A big part of our success lies in our strong partnership with vendors and suppliers who mirror our values and work ethic. Our business solutions expert, NexVue, played a crucial role in helping us execute complex customizations in a proficient and timely manner. In fact, the NexVue President, Daniel Schwartz, was also honored at the summit as an Acumatica 2019 MVP. There are so many exciting possibilities to explore with the Acumatica tool. With the backing of a very supportive team at Fabuwood and a great set of partners like NexVue and Acumatica, we look forward to pioneering new technological solutions that augment our level of service to customers at large.